Thank you for visiting Trust Deeds for Sale. You will find below loans or in other terms notes secured by real estate. I need current notes to list! **Advertise your trust deeds for FREE here **Until Sold** Fill out the form and I will contact you. Several parties have come together to provide any of the listings on this page some are current, some are not. If you have carried a note or are a note finder, you are welcome to submit it to us, we will negotiate finders fees if sold from this site via non circumvent. Please feel free to Contact us at any time with any questions on our Trust Deeds For Sale. Please try to copy and paste the note info in your email so that I can find the item to which you are referring. Are You Personally Receiving Payments On This Note? N seller owned the property 8 years before selling it on a note. **Looking for a Future Note or trust deeds for sale? WE NEED SOMEONE TO BE THE BANK ON THIS ONE!! There is NO Land or building Involved. This is a note to be carried on a very successful 3-location business purchase. All locations are in leased spaces with very good, newer long-term leases. The businesses are extablished and profitable Pizza and Italian restaurants. They are all located in the Las Vegas Valley area. All locations have dine-in, take-out and do a heavy and profitable delivery volume. The combined gross sales is approximately $3.6M a year. The combined net profit (cash flow) is approximately $850K per year. The employed workforce is very stable, FF and E is all owned outright - the approximate value of which is $150k per store. The leasehold improvements are approximately $40k per store. The purchase price is $1.3M. Future note holder to carry note for difference, business will be free and clear of any debt or encumbrances. Looking for note terms of 7-10 years, amortized with a 3-5 year balloon and willing to pay a 12% interest rate. Loan terms are open to what the note investor may need to make this a desirable investment for them. Owners both have an extensive background in restaurant management, ownership and franchising, with a specialty in pizzza and italian. Credit scores of both guarantee owners are 750+. 3 bedroom, 3 bath, 2 car garage home. Payor plans to invest 25000 on fixing up the subject property and then reselling on the low comp for $305,000. BPO as is value was established at time of purchase for $250,000. Rental comps are $1800 per month +-. 1.Yabe C7 Trust Deeds for sale: Seasoned 3 payments all paid ahead of time! Our borrower owns 4 condos that have a ballooning blanket loan that is collateralized by all 4 properties. We are working with her to provide individual loans on each property. In addition to refinancing her existing blanket mortgage, she will be receiving some cash out from our transactions and she will be using those proceeds to acquire an additional property. The subject property detailed in this investment bulletin is rented for $1,150/month which would produce a DSCR (debt-service-coverage-ratio) on our loan of 1.28x. 2.Burrell trust deeds for sale: Seasoned 3 payments all made on time! Our borrower took advantage of a 34% discounted payoff that she was offered from her existing lender. Her current loan is in the amount of $340K and as a result of this proposed transaction she gained $120K of equity. The proceeds from this loan were used exclusively to fund the discounted payoff and she did not receive any cash out from this transaction. She has owned this building since 1987. Furthermore, she has removed the first payment flop from the equation. We have seasoned the loan and the borrower has made her first payment on time! Something we bet will continue for the term of the loan! Cheramie Trust Deeds for sale: Seasoned 3 payments all made on time and 35% LTV! 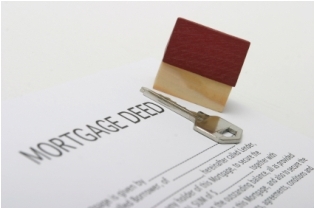 Our borrower refinanced his existing mortgage that came due after its 10 year term. This was a pure rate and term refinance and he did not get any cash out of the transaction. It should be noted that the French Quarter in New Orleans was not affected by the flooding in 2005 caused by Hurricane Katrina. This property is located right in the heart of the “fun zone” on Bourbon Street, making this address an irreplaceable piece of real estate. 4. Smith: Seasoned12 payments all made on time! Our borrower is a registered nurse and this fully rented 6 unit multifamily property in Philadelphia, PA is just one of three properties she owns. This clean, brick building has a unit mix of three - 1 bedroom, 1 bath units, and three - 2 bedroom, 1 bath units. She used the proceeds of this loan to rehab another building she owns across the street from this subject property. This property was valued using a 12% cap rate. You must be willing to sign an NCND / Fee agreement for additional information. Orange Hills California - Contemporary 4BD/3BA bath home with great curb appeal and circular driveway located in an affluent equestrian area of Orange County. Subject was built in 1978 and features pool, spa, custom landscaping in front and backyard and has 3774 SF of living space on a 1 ACRE lot with great views. Murrieta California- 4 Luxury homes each on 5 Acre Lots (REO) Each home averages 4800 SF and all located on the same street with only one 100% completed and remaining 3 homes need $80 K each to complete. Pasadena California- 30 Unit Apartment Style Condos with 27 Units For Sale (3 Sold) The bank foreclosed 27 units. Property was built in 1987, and recently remodeled. Currently the majority of the units are being rented but all have separate APN's for future sales. o. Any clauses in the note? – 5 day late = $50 penalty. email me at execdiva@gmail.com for NCA and I will provide entire note copy, tax information, property information, etc. From a Realtor in California. (i) Income - Husband is a rehabber; Wife is a loan officer at a bank. d. Owner occupied or rented: Rented out both units, he rehabbed at fixed to clean and beautiful standards. i. Just 1st only lien positions. n. Any clauses in the note? The investor is on title until (delinquent -$900) back taxes has been paid by current end buyer, as it is their responsibility to pay. They currently use a professional note collection service company at $10 a month, provides automatic monthly statements, and sends receipts. a. What does Payor do? Rehab homes for profit, gut and clean. Wife is a loan officer at a nearby bank. Do you have a note for this buyer. he is looking for Trust Deeds for sale ...If so contact me 30k and up must have at least 3 payment made with a down payments as well. Single Family, Land, Mobile Homes with land. All Trust Deeds for Sale may not all be listed here, we have a lot of other inventory not on the website. Please Inquire on the contact us page **We do not service Indiana, Maine and Utah. Thank you for visiting Trust Deeds for Sale, return often for new inventory or get on our opt in email list by Contacting us on the above email us link. **Trust deeds for sale on this page have information provided by third parties and therefore is not guaranteed by me and offeror has full responsibility to investigate, appraise and do whatever is necessary to satisfy themselves as to the quality of their purchase once provided the information to make an offer. **5% buyer premium will be charged to purchaser. ***CONFIDENTIALITY DISCLAIMER: Elizabeth Hammack is NOT a United States or Canadian Securities Dealer or Broker or U.S. Investment Adviser. Elizabeth Hammack is a Consultant and makes no warranties or representations as to the Buyer, Seller or any parties involved in a transaction for trust deeds for sale nor accuracy of the trust deeds for sale information provided. Buyers and Sellers and reps are recommended to consult with their own investment adviser and or lawyer for advice before investing and all listed information is subject to interested party verification. Return to Sell My Note from "Trust Deeds For Sale"